This 1989 1 oz Silver Canadian Maple Leaf Coin will make an excellent addition to your precious metals collection. 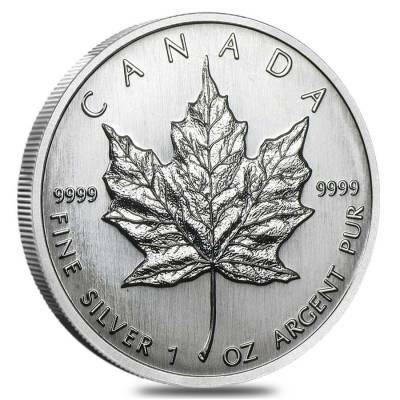 The coin is made from 0.9999 fine silver with a weight of 1 troy oz. 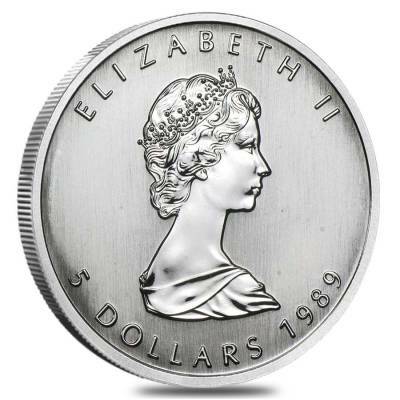 The obverse features the bust of Queen Elizabeth II along with the denomination and the year of mintage. The reverse displays a maple leaf along with the weight and purity. Bullion Exchanges helped process my shipment on time for my fathers birthday. 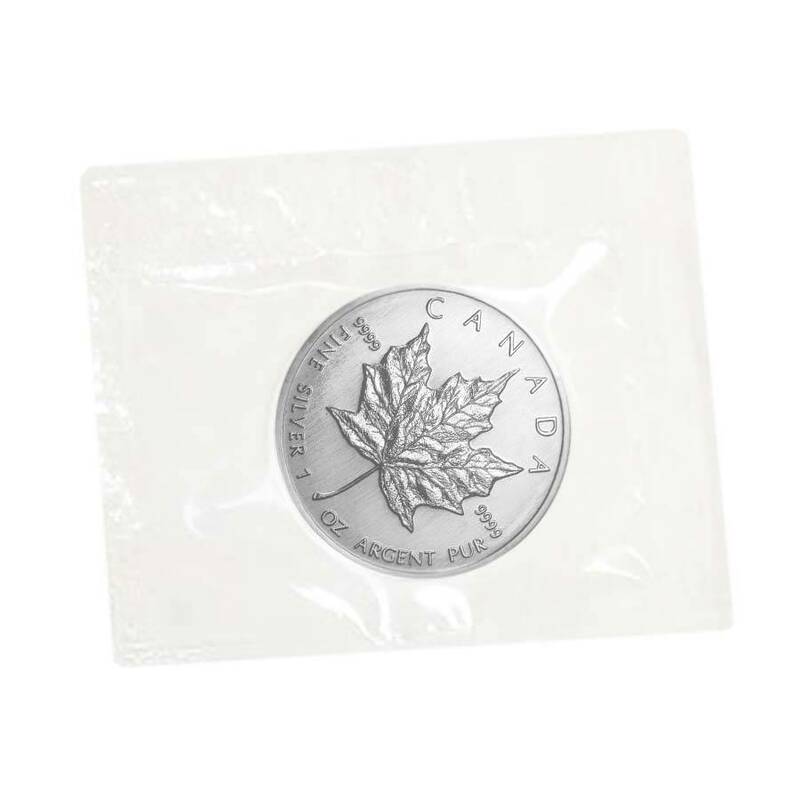 He loves Silver Maple Leaf coins and he was very satisfied and appreciated the fact that it was packaged very well. I got a new 1989 Silver Maple Leaf from Bullion Exchanges for much lower than from APMEX and JM Bullion. 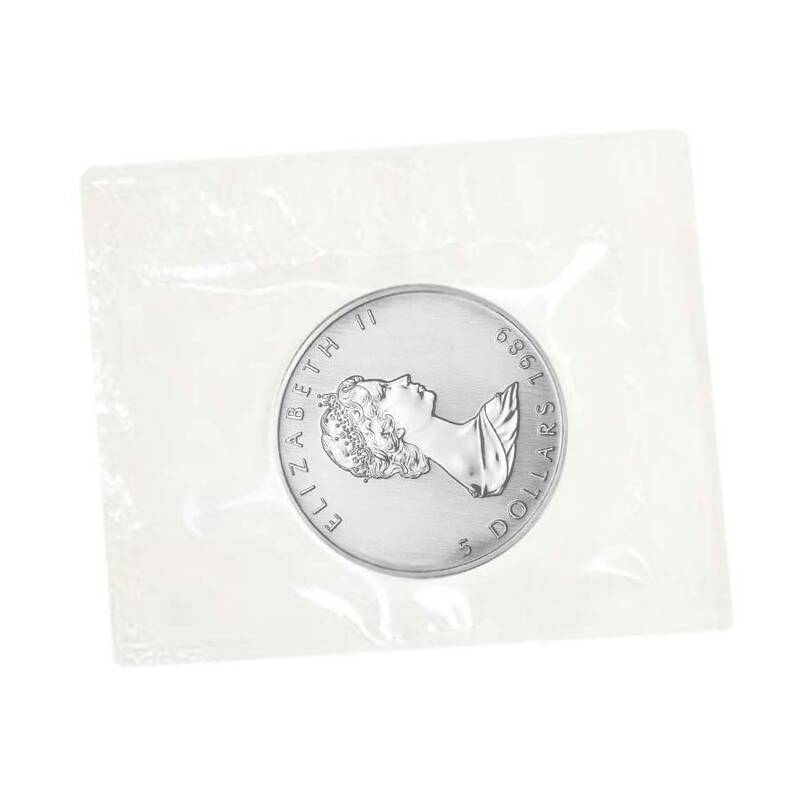 The coin was perfectly packaged for safety and care. Their website guaranteed my coin to be IRA approved and from the Royal Canadian Mint. My order came in just two days so thanks BE!!!!!!! “I've placed almost a dozen orders....never, ever have I been the unsatisfied with my experience...!”Bullion Exchanges is a great company to buy bullion from, take my word for it. Took a little time to open my purchase because of their professional and safe packaging. My order was easy to do with BE's website and with free shipping! BE handles coins like pros. My 1989 Silver Maple arrived in three days from my confirmed order and without a scratch. Thanks so much! Its great to see how Bullion Exchanges handles their business. Their helpful website told me that my coin was minted from the Royal Canadian Mint and IRA approved. My item came sooner than expected and in perfect condition so thanks BE!